Follow along with some of your favorite Disney Junior characters in this musical adventure! 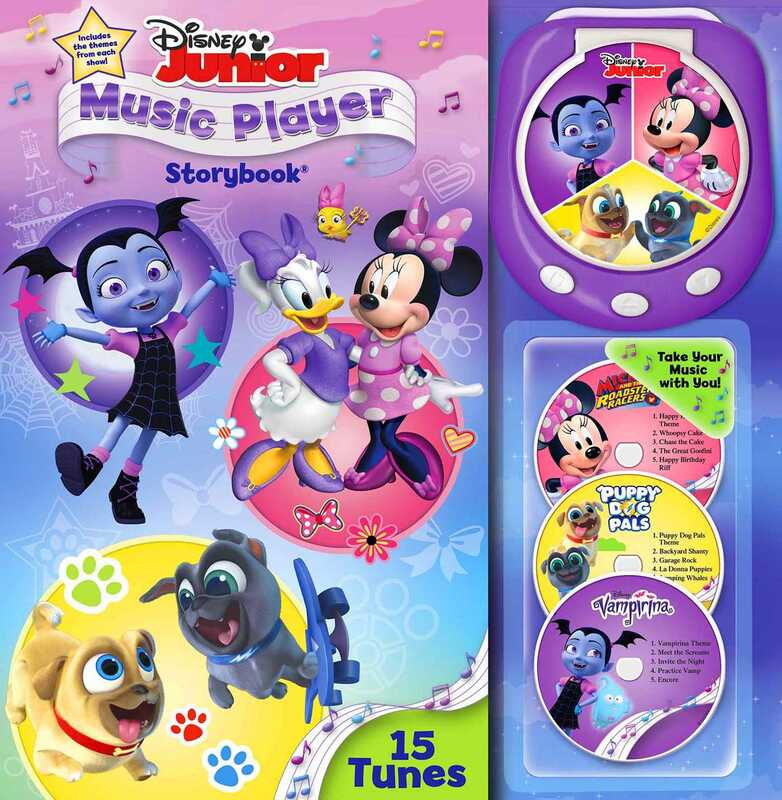 Kids will love playing fun tunes on this portable music player as they follow along with the stories about their favorite Disney Junior characters. This book contains three separate stories from three of Disney Junior’s most popular shows: Vampirina, Minnie's Happy Helpers, and Puppy Dog Pals. The storybook set comes with three music discs that play a total of 16 tunes. Prompts throughout the book tell kids when to play each tune as they read. For added fun, kids can take the music player wherever they go!